Bunny Runs with Scissors: Jillian & Friends Blog Bash ~ Sign up and Party with Us! 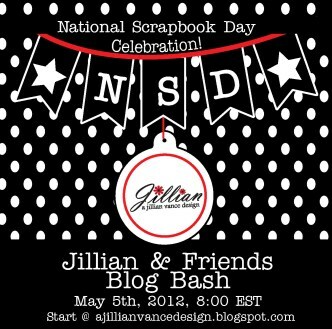 Jillian & Friends Blog Bash ~ Sign up and Party with Us! Come celebrate National Scrapbook Day with A Jillian Vance Design! We would love to have all of our friends and customers join us for a Blog Bash! The party will start May 5th, 2012 ~ National Scrapbooking Day! The theme is Designers Choice using Black, White and Red ~ A Jillian Vance Design signature colors! Sign up right here on the A Jillian Vance Design Blog open from April 16th at noon til April 21st at Midnight. Just use the Link Manager to sign up for the fun! Project should include Black, White and Red. 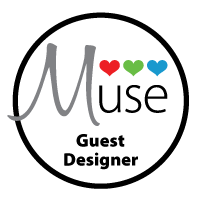 The badge must be displayed on your blog once your participation has been confirmed linking back to the A Jillian Vance Design home page and must remain on your blog until the day of the blog hop. Blog Bash posts must remain at the TOP of your blog for that day. Please understand that by signing up, you are committing to participating in this hop and the requirements above. Once the sign up process is complete, you will receive a confirmation email. A response to that email is required to be sure we have the correct contact information and know you want to participate. Once we have confirmed all the participants, another email will go out containing all the details as well as the blog hop order! Jillian and her Design Team are very excited about this Blog Bash and thank you for participating!!! The Linky is moderated so you will not see an immediate post of your blog ~ this is to confirm your blog and email address.